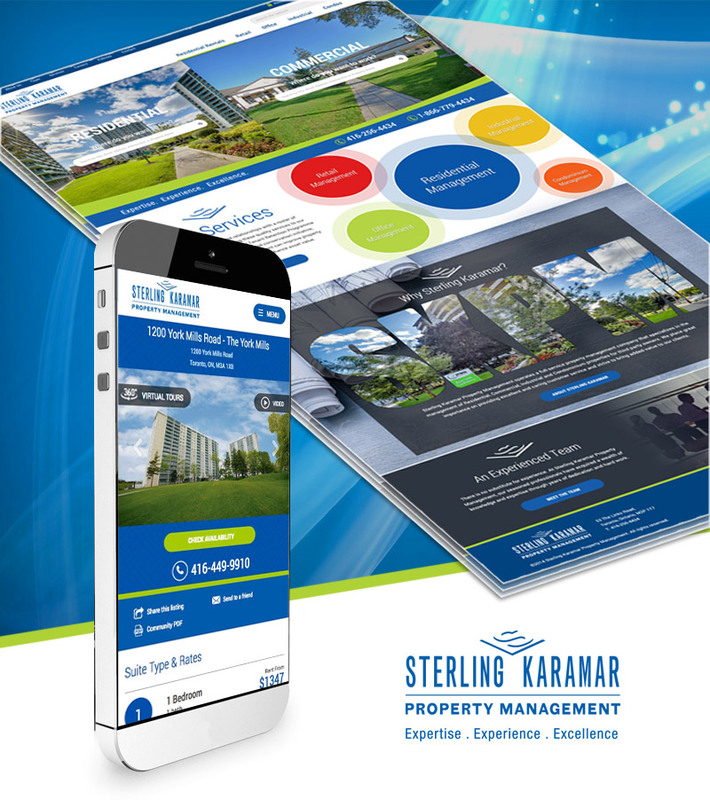 Congratulations to Sterling Karamar Property Management, who recently launched their new website. Sterling Karamar manages Residential, Commercial, Industrial and Condominium properties in Toronto, London and other parts of Ontario. Landlord Web Solutions was contracted to develop a website for Sterling Karamar back in 2013. LWS was contracted again to develop a new website in 2016 that would make use of newer technologies and to make it AODA compliant. The new website is designed to be fully responsive on desktop, tablet, and mobile. Some new features include a split screen map/listing page for easy property searching, multi-colour badges to highlight promotions, nearby properties, team bios management, job postings and more, all managed within the LIFT System. Sterling Karamar has submitted the website for Best Website of the Year at the 2016 FRPO MAC Awards. We wish them luck!